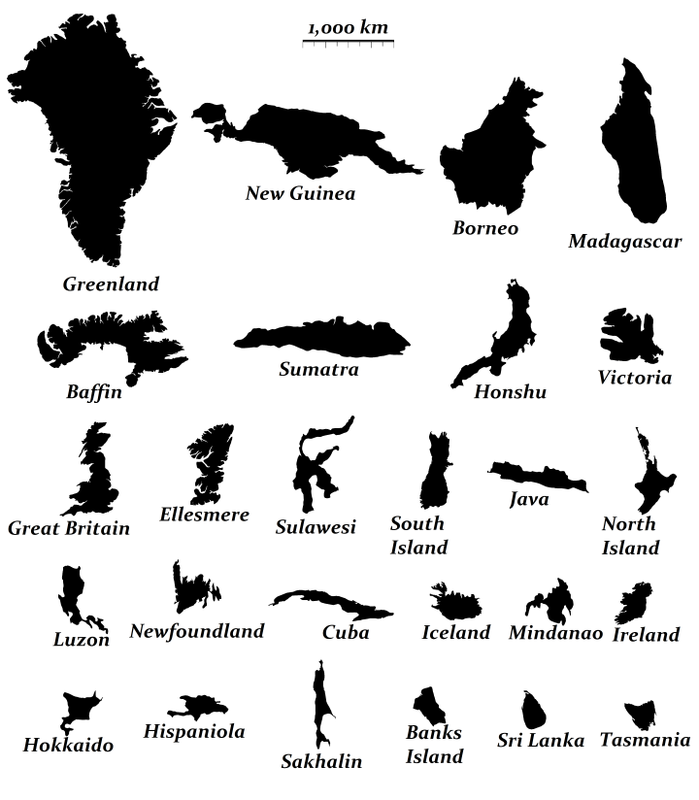 The map above shows the relative size of the world’s 26 largest islands. Combined they cover 7.7 million square km (roughly the size of Australia) and have 540 million people living on them (behind only China and India). 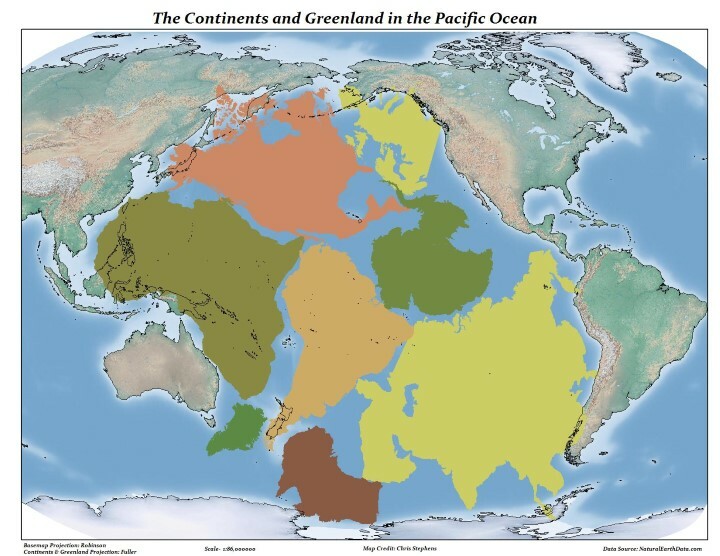 While I’m sure you know the Pacific Ocean is big, I’d say there’s a good chance you hadn’t realized how big, until you look at the map above. As difficult as it may be to believe, the Pacific Ocean is larger than the landmass of every single continent and island combined. Here’s the last post for awhile about flag colours. Previous posts have looked at The Shade of Red Each Country Has On Its Flag and Countries Whose Flags Contain Red and/or Blue. 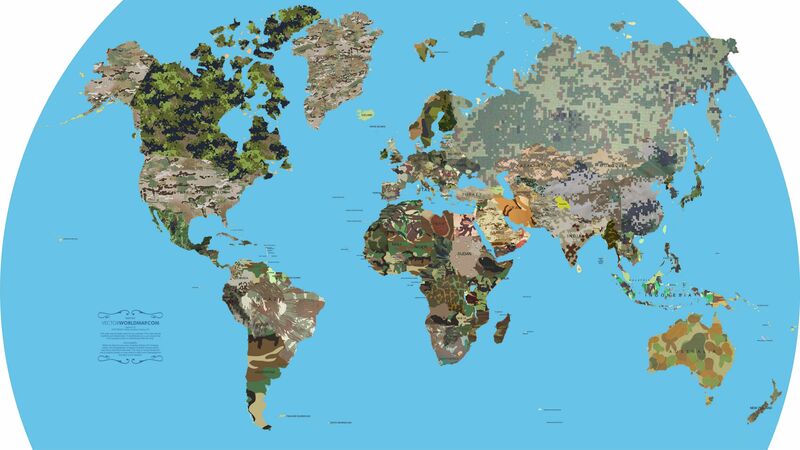 The map above looks at what happens when you blend all the colours from each country’s flag proportionally. Somewhat surprisingly there is a relatively large variety of colours, given that red and blue so often appear on flags. 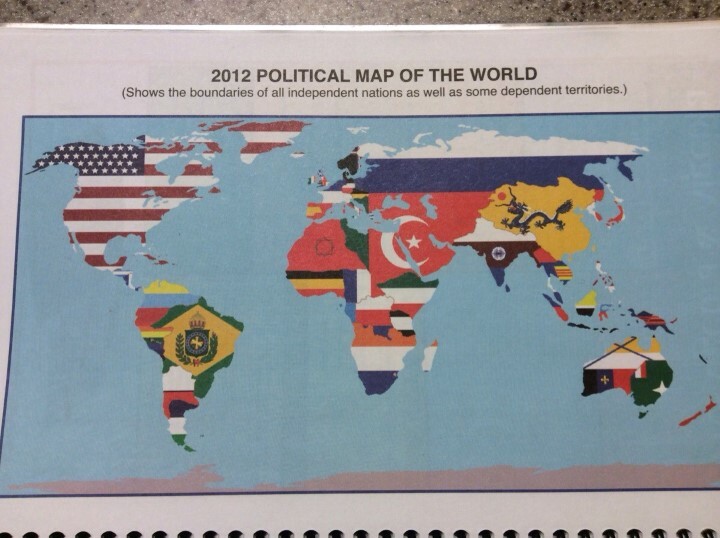 As we saw in a previous post, the vast majority of the world’s countries have at least some red in their flag. The next most popular colour is blue, with only a handful of countries having neither colour in their flag. The map above simply shows the shade of red that appears on each country’s flag, assuming of course it has red on it. 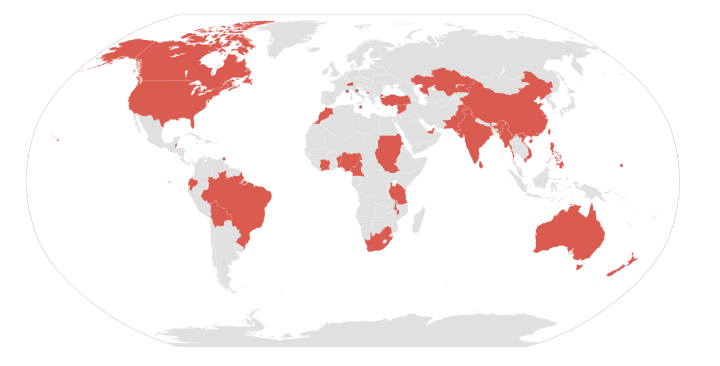 The data comes from here, which shows that 148 out of 192 countries (77%) have some red in their flags.